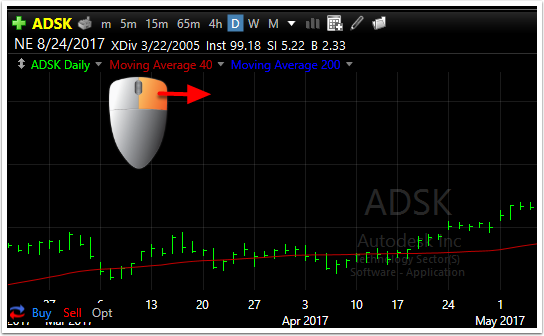 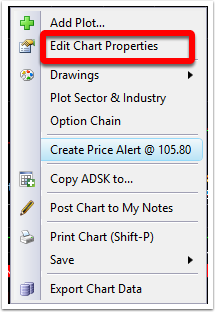 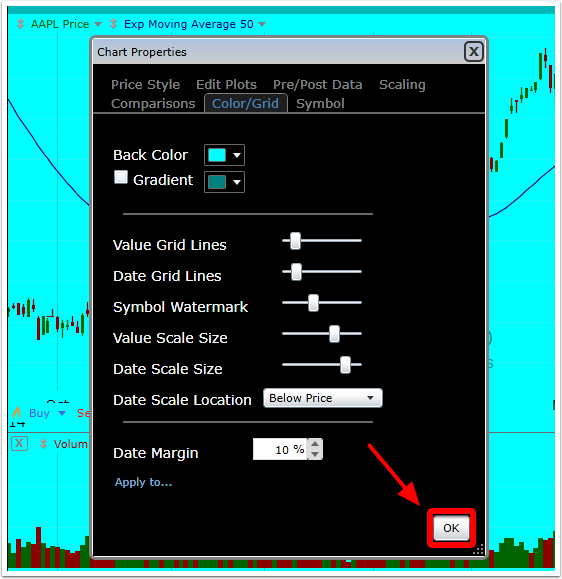 Many chart characteristics can be customized to user preference. 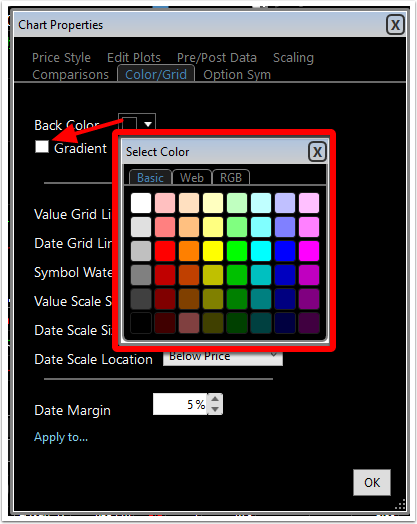 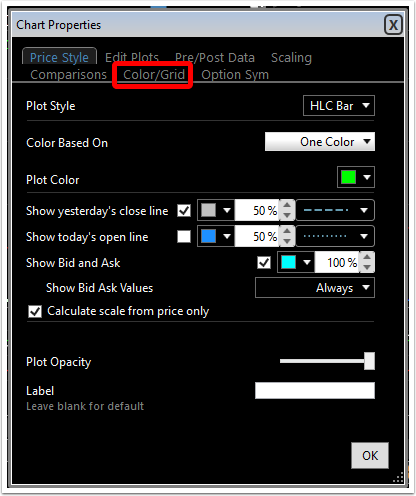 These include chart background color as well as grid lines and scale colors and sizes. 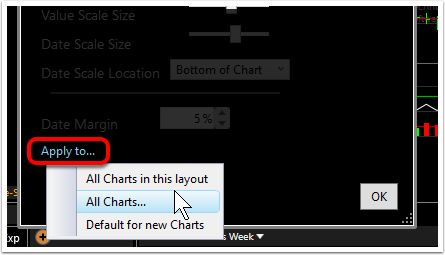 Below are teh steps to changing these parameters. 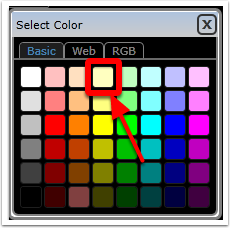 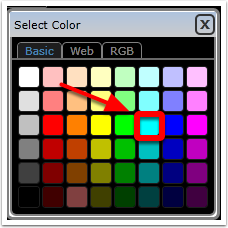 Choose the Web or RGB tabs to more specifically customize the background color.